I can's access the Medium folders from inside Medium. Has anyone else had these issues before? 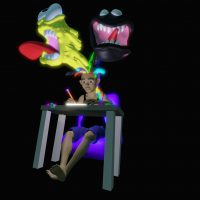 We hide the Medium folders from the asset browser when you browse through C:\users\ or \users\ because we already provide those same folders with "Personal" or "Exports." Is this one or one of the below? 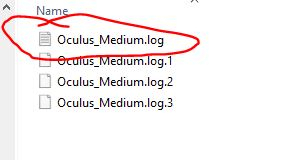 The session that you *just* did will be the first log (called Oculus_Medium.log), and the session before that will be .1, the one before that, .2, and so on. I'm looking for a log during a session in which you crash. Hope that helps!